While owning your own home is gratifying, maintaining it is another story. For many busy homeowners, finding the time to make those needed repairs and updates can be challenging, and hiring someone else to do the repairs can be a daunting task, too. 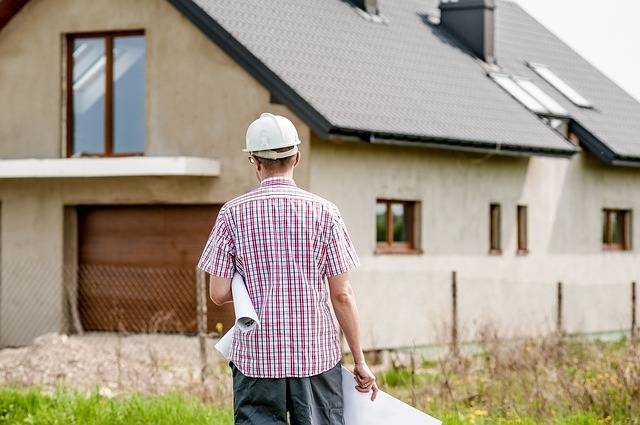 To help you out, we’ve come up with a few tips on how to find a good general contractor. To find a reliable contractor, consider asking your relatives, friends, co-workers and even a neighbor for references. Those who work at your local hardware store could also provide referrals. Once you obtain some references, interview at least three contractors. It’s important to clearly explain the job, so the contractor knows exactly what you want. You will want to ask plenty of questions, too. One important question to ask is if the contractor will use his own employees or subcontractors. In many cases, subcontractors could represent unskilled workers hired off the street. Contractors should also provide information proving they are bonded, insured and licensed to do the work in your state, and ask them to give you the contact information for three of their most recent clients. Then, once you get a bid from each one of the contractors you’ve interviewed, call the references to learn as much as you can about the contractor and if the clients are thoroughly pleased with the outcome of the contractor’s work. Likewise, you could check with the Better Business Bureau to see if there are any complaints filed against the contractor. The website might produce reviews from the contractor’s clients, as well. Once you have decided which contractor to hire, make sure that the contract fully outlines the project before you sign. It should include deadlines, labor costs and the prices of the particular materials used, including model numbers and the source of the materials, too. Furthermore, if you change your mind regarding materials or another detail about the job, get that in writing, too. 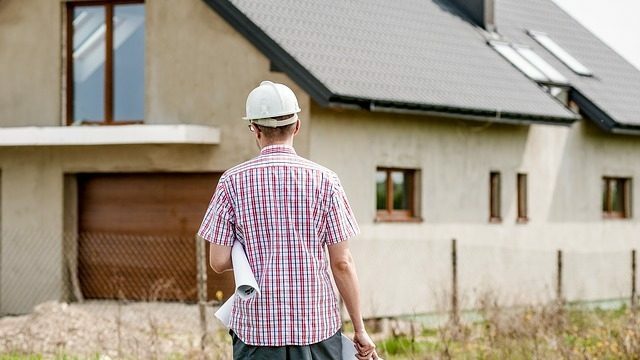 Remember, unless you have the information documented, it’s your word against the contractor’s word, which could lead to potential disagreements along the way. 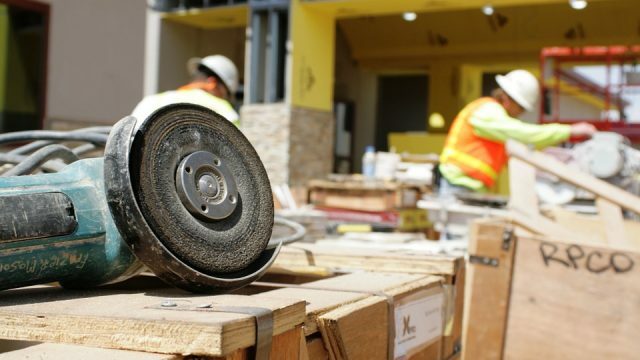 Finally, don’t pay more than 10 percent down before the work begins, and withhold the rest of the payment if you aren’t pleased with the outcome. If you see a problem, speak to the contractor about it before the job is finished. A ceiling fan is a wonderful addition to any home. It has the ability to make a room much more comfortable on a hot day. Ceiling fans are essential in states that have warm weather during the entire year. However, how can you determine which ceiling fan to buy? There are certainly many of them on the market these days. You might be one of the people who believe that all ceiling fans are created equal. You might think that one ceiling fan is just as good as all the rest. It would be a big mistake to think this way. The reality is that certain ceiling fans are made with a much higher level of craftsmanship than some of the other models. Here are some of the ways you can determine which model of ceiling fan is right for you. 1. What size ceiling fan do you need? The first thing that you will need to consider is the size of the ceiling fan that you are going to buy. The length of the blades can vary greatly. Therefore, you need to be certain of how much clearance you are going to have between the area where the fan will be mounted and the wall. Failure to measure the amount of clearance correctly could result in the blades of your fan being too long and hitting the wall. 2. How much power do you need your ceiling fan to have? There are ceiling fans that are designed to be very powerful and cool a large area. This is usually the case with commercial ceiling fans. However, this amount of power is rarely needed in a home environment. You should make sure that you test any ceiling fan that you are thinking about buying. Otherwise, you might discover after it has been installed that its level of power does not live up to your expectations. 3. Does the fan come with a good warranty? A ceiling fan is a piece of machinery. As such, it will most likely have some mechanical difficulties at some point in the future. Therefore, it is important to know that you are protected by a warranty provided by the company that made the fan. This will mean that you will not need to pay for any repairs on the fan during the length of the warranty. Never by a ceiling fan without a warranty. 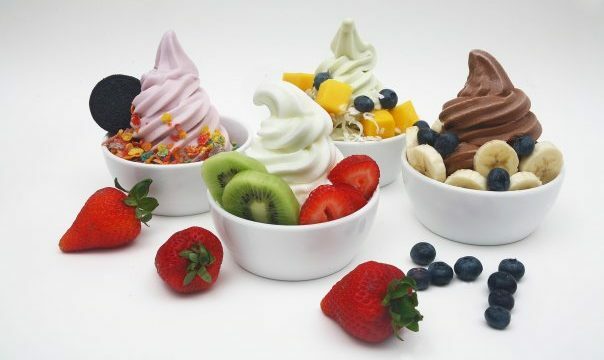 Frozen yogurt is a delightful treat that can be enjoyed anytime and anywhere. If you’ve only ever purchased “traditional” flavors, however, you’re missing out on a whole world beyond chocolate and vanilla. Here are just seven different tastes that might become your new favorite. With a blend of everything from strawberries to oranges, this “tart” flavor is making waves across the nation for its sharp but cool bite. It’s perfect for hot summer days when you need something to boost you up and cool you off. Chocolate temptation is more than just regular old chocolate. Offering a multi-blend of rich cocoa flavors, it’s an indulgent yogurt experience that will leave you licking the spoon until every last bite is gone. Red velvet frozen yogurt is a delicious blend of smooth and sweet. Tasting just like its namesake, it will bring to mind the thick, fluffy red velvet cupcakes that always stick so wonderfully to the roof of your mouth. Say goodbye to the mid-morning blues when you enjoy a snack of espresso yogurt. Not only will it deliver the taste of rich coffee beans without all of the added sugar and fat, but it will also encourage the production of healthy gut bacteria like all yogurts. This tasty treat has so much flavor that it could double as a candy bar. As a matter of fact, it probably will remind you of all your favorite candy bars and their crunchy toffee centers. Go back to childhood with toffee-flavored yogurt! Take a trip to the beach when you open a container of pineapple yogurt. It will instantly transport you to a place filled with white sand, blue skies and umbrella drinks, so you can enjoy a mini-vacation during your lunch break if only in your mind. If you like the taste of chocolate but don’t need six different versions of it in the same bowl, consider the “s’mores” flavor of frozen yogurt. It will bring to mind campfires and starry nights with its winning combination of chocolate, marshmallows and graham crackers. 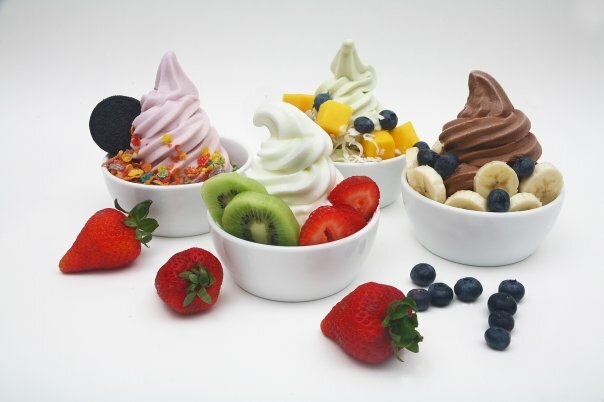 These are just a few frozen yogurt flavors that will rock your world. Even if you aren’t the biggest fan of the cold stuff, one bite of these rich, luxurious blends and you’ll become a convert. Spring will soon be here, and you will want to spend as much time as you can outdoors with friends and family. You can make this time together even more enjoyable by creating a beautiful outdoor area for entertaining. This can be accomplished easily by following a few simple steps. The most ideal area for entertaining outdoors is a deck. Not every home has this feature. If you are one of the unlucky homeowners without a deck, you can add one for a minimal expense. The most obvious location would be just outside of the back door. This way you and your guests have easy access to the interior as well as a welcoming transition when entering the backyard. Decks can be made from wood or vinyl materials. The surrounding railing can match or be made of wrought iron. 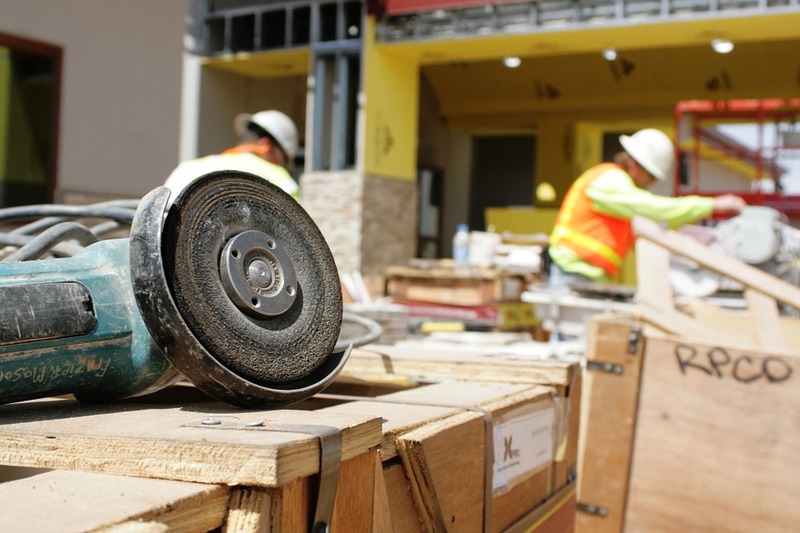 Once you have decided on a location and style of deck you want, you can find contractors by asking friends and family or searching online for sites like Web.com Contractor Services. A deck alone will not be inviting. It is the furniture, decorations, and foliage that will create an atmosphere you and your guests cannot resist. Begin with seating. If you plan to serve meals outdoors, an outdoor table and chair set will work perfectly. Leave room for a grill, and invest in a set of outdoor dinner wear to match your new décor. Otherwise, you can consider a nice collection of matching chairs, love seats, and lounges. Place them in a semi-circle around a coffee table to create a conversation area. Use pillows for added comfort. Your outdoor area isn’t complete without landscaping and plants. Your local garden center is a great place to look for ideas. Bushes and flowers around the perimeter of the deck will dress it up for the coming summer months, and strategically placed plants will make the area feel homey. Once your deck is finished and you add all of the finishing touches, you will have an outdoor area you can truly enjoy. Use this space to entertain your family and friends. It can be a wonderful way to spend those warm spring evenings while waiting for summer to arrive.